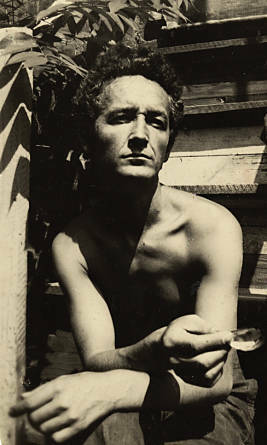 Woody Guthrie, America’s most famous and best-loved folksinger, left a legacy of songs that have become part of the nation’s soul; “This Land Is Your Land” is virtually an alternate national anthem. He embodied the Great Depression and the Dust Bowl in his life, and gave voice to them in his music, in a way no other great artist did, with the possible exception of John Steinbeck. What is less well known is that Guthrie was also a prolific writer—not just of letters, notebooks, and song lyrics, but of autobiography and other works, including one complete novel. That book, House of Earth, was written in the late 1940s, but not until February this year, nearly 70 years later, has it finally been published. Johnny Depp and ubiquitous historian-author Douglas Brinkley tracked down the manuscript in the Woody Guthrie Collection being assembled at the University of Tulsa, and decided, after some minimal, light editing, to bring it out as the inaugural publication of Depp’s new imprint, Infinitum Nihil. Still less well known is the remarkable fact that although Guthrie lived and farmed in the Texas Panhandle, where the book is set, it was in New Mexico that he found the original inspiration for it. Not only that, but both the book and the revelation that caused him to write it came about through his encounter with the most iconic feature of New Mexico’s culture and history—a substance so closely associated with the state that it’s not just the heart and soul of New Mexico, but its very body. Adobe. Woodrow Wilson “Woody” Guthrie was, for much of his life, first and foremost an impoverished farmer, and only second a musician. He grew up and lived in the Texas Panhandle, epicenter of the Dust Bowl. There’s a common notion that the Dust Bowl was a meteorological disaster, with its dust storms thousands of feet tall, and freakish blizzards “the color of cocoa,” so full were they of topsoil. But its real causes were political and economic. Big Agriculture had been tearing up the Texas and Midwestern grasslands, creating loose topsoil that was quickly lost to the ferocious winds that whipped through. Guthrie felt acutely the injustices being done to both the land and its people. Big Banks, Big Agriculture, and Big Lumber irreparably changed the plains. As he put it, “For every farmer who was dusted out or tractored out, another ten were chased out by bankers.” He became, like his great compatriot Steinbeck, a dyed-in-the-wool socialist. It’s easy to forget these days that socialism was once a powerful and respectable force in American political life. The scare-mongering of the McCarthy era of the 1950s so effectively demonized the movement that it’s now hard to believe many of America’s most cherished cultural luminaries of the first half of the 20th century championed it. Guthrie saw himself as engaged in an epic struggle for fairness and justice for the common people, with good justification. As the Panhandle farmers were gradually stripped of their livelihoods, they found themselves living in increasingly desperate circumstances, and in ever dingier, flimsier shacks. Into the heady mix of politics, farming, and music-making that constituted Guthrie’s life there appeared an unlikely stranger, in the form of adobe. Guthrie came to New Mexico several times in the course of his rambles around Texas and the neighboring states as a young man, busking for tips, but it was in December 1936, just north of Santa Fe on Nambé Pueblo, that he had an epiphany: Adobe was cheap, durable, fitting, and available. The Department of Agriculture issued a booklet in the 1930s encouraging rural people to build themselves homes out of adobe. In Guthrie’s words, “that sun-dried brick is the answer to many a dust blown family’s prayer.” Guthrie came to believe that the future of the rural poor lay beneath their feet. If they could only buy a small plot of land, they could mix up their own adobe, and with it build sturdy homes capable of withstanding all weather. It would transform their lives. The purpose of his writing House of Earth was to promulgate the realization he had had in New Mexico. Many visitors to New Mexico remember the first time they found themselves in the heart of an adobe settlement, and the sense of strangeness yet familiarity that descended on them. My own first encounters with adobe happened in Taos. I was a young man, and rode north through the state on the T, NM & O bus, winding up from Alamogordo. Suddenly we broke out of the Río Grande Gorge and saw the sage-green mesa of Taos reaching away to the western horizon. To the north stood the bulk of Taos Mountain, dark and brooding as a storm cloud. Around the skirts of the mountain glittered the town. But what I could see of Taos was only that glitter—no walls or buildings, only the windows, and whatever metal fittings happened to catch the light. The rest of the fabric of the town blended into the plain. From a distance, it simply disappeared. There was good reason for this, but I didn’t understand it till the bus rolled into town. It was then that I realized it was all made of the plain. It was an adobe settlement, built of the very earth on which it stood. No wonder it blended in. Adobe is immemorial. It lies somewhere deep in the genes. It calls forth in us a vague yet acute sense of rightness. After all, what is beauty itself if not a sense, an intimation, of a rightness that can’t be named? The rightness of adobe is unmistakable. There are theories now about the beneficial effects, the harmony and even good health that can derive from homes made of local materials: log houses in northern woods, stone villages in the Pyrenees and Alps. But before stone and wood, before even the woollen tents of desert nomads, there was mud. There has always been mud. Mud is the hearth and forge of human domesticity. It was mud, just as much as seeds and the plough, that enabled us to settle. Mud was every bit as vital as dough, that other pliable substance that must be baked to become useful, that allowed humanity’s wandering to end. Ur-Nammu, in Mesopotamia; Chan Chan, in Peru—the earliest cities, some with hundreds of thousands of inhabitants, were mud cities. Ever since the Great Desertification afflicted a belt around the middle of our globe some 7,000 years ago, from Saharan Africa right across the Middle East, Asia, and the Pacific into the American Southwest, dwellers in earth’s arid lands have stooped to the earth on which they stood for their homes. Any visitor’s first sight of Taos Pueblo is unforgettable—that prototype of all urban architecture, an 800-year-old apartment building made of earth and still inhabited by the progeny of its original builders, looking vaguely like a ziggurat. But even today, all over the state, adobe is still in use for new building projects, and many old homes and edifices are devotedly maintained with annual recoatings of adobe. There are revolutionary new uses, too, such as the Earthships invented by “biotect” Michael Rey­nolds on Taos Mesa, who, in a vision back in the 1970s, was visited by wizards. They told him to build homes with the detritus of our wasteful modern ways: bottles, cans, and old tires. But all of these castoffs would be swamped in copious quantities of adobe. The result would be bermed earthen homes that barely needed heating in winter, built to withstand natural disasters. Today there are tens of thousands of Earthships around the world. But what is adobe? What is its magic? Why is it the most atmospheric building material of all? And why is it the great pride and joy of New Mexico—a substance that almost defines the state, and goes on doing so even in the 21st century? In the old days, adobe was cheap. It still is in many countries, where all it costs is the sweat it takes to dig it up, mix it with straw, pour it into molds to create bricks, then leave them to dry and bake in the sun. Once they’re ready, you mix up more mud as mortar, and proceed to lay them in a wall. The essential ingredients of adobe are clay, sand, and straw, or some other binding material. The word adobe can actually mean three things: the bricks, which generally measure 4 by 10 by 14 inches; the mix of which the bricks are made, which can also serve as both mortar and plaster; and a home made of adobe. In earlier eras, the Native Americans of New Mexico used to mold adobes in random shapes and use them like stones to build up their walls. Sometimes they would build wall-frames out of wood and sticks, then slather them in the mixture. In time, with the coming of the Spaniards in the 16th century, the formation of bricks became more common. The friars supervised the building of many fine mission churches in the late 1500s and 1600s, some of which, like Acoma and Ranchos de Taos, are now jewels of the state’s heritage. Adobe has fantastic thermal properties. It absorbs the winter sun and breathes it out at night. In summer it keeps out the worst of the heat. Repairs are simple: recoat with more adobe. Internal alterations, too: if you want to put an archway in a wall, for example, just go ahead and cut it out. But more than all the above, adobe creates a home like no other. Organic, sculpted rather than rectilinear, it offers a sense of refuge, of deep homeyness, that no other building material can rival. One winter’s night spent in an adobe womb is enough to convert most of us. As their first child is about to be born, the desperate young couple fantasize about a semi-utopian world that seems almost within their reach, could they only own a small piece of land. The book is a passionate defense of the environment, an apologia for the local, the natural, the earthbound—virtually everything America would collectively reject in ensuing decades, when a world of suburbia disconnected from the land would take over. All of which, today, works decidedly in New Mexico’s favor. It remains the one state in the Union where the local and the organic are still deeply prized, not least in architecture. Even in the 21st century, adobe construction remains a thriving skill. There are courses in adobe home-build, and the upkeep of old adobes is enshrined in law. A house of earth, here, remains for many a tangible dream—indeed, a reality. Henry Shukman’s most recent novel, The Lost City (Vintage), was a New York Times Editor’s Choice. He lives in Santa Fe, where he teaches at Mountain Cloud Zen Center.